264 Commercial Real Estate and Properties in Victoria Country North are listed in 9 categories. We have 97 Retail Shops for Sale & Lease , 74 Offices for Sale & Lease , 31 Industrial Warehouses for Sale & Lease , 27 Development Lands for Sale & Lease , 18 Commercial Farms for Sale & Lease and 8 Hotels and Leisure for Sale & Lease . Work From Home - Dimboola $145,000 plus GST [If app.. Located right in the heart of Dimboola is a great retail shop with attached modern 2 bedroom residence. Situated between the Bendigo Bank and a busy menswear store, directly opposite the newsagency, locations don't get better than this. 2 large display windows lead into a large retail floor space with polished timber floors, white walls, high ceilings and plenty of natural light. At the back of the shop is a great size kitchen, timber floors, modern timber kitchen, electric cooking, wall oven, rangehood and double sink. 2 good size bedrooms, new carpet, freshly painted and modern bathroom. Externally there is a long yard, new fencing and carport. Land area: 275 sqm Expected Rent: $250 per week plus GST & Outgoings. Tenant to pay Outgoings: Council Rates, Water Rates, Plate Glass Insurance, Public Liability Insurance. 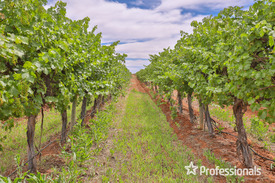 This is the ideal place to work and live or have it part of your investment portfoliw. Call Nola today on 0418 504 855 to arrange a time to inspect. 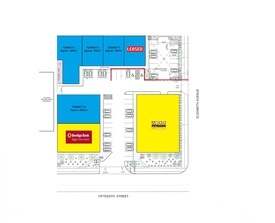 Golden Opportunity 3 Retail Sites $760,000 Plus GST [If app..
3 prime retail shops on one title, in a brilliant central CBD location opposite Kmart Shopping Centre. Combined potential rental income of $62,878 plus GST with tenants paying outgoings including Council Rates, Water Rates, Plate Glass Insurance & Public Liability Insurance. Building features include, sound solid brick construction & concrete floor, suspended ceilings, retail lighting, office area, airconditioning, staff kitchen & toilet facilities. 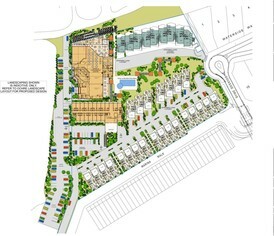 Rear access to onsite staff parking, plus excellent customer parking, exposure & access. Modern shop facades and display windows. Location: Brilliant location opposite Kmart Plaza, in busy Darlot St, surrounded by quality businesses. 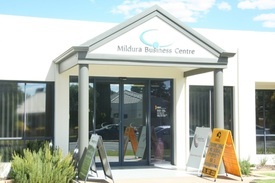 25A Darlot St: Currently leased to Wimmera Health Care Group Hospital Aux shop. Rent: $22,878.60 pa plus GST with tenant paying outgoings. Outgoings: Council Rates, Water Rates, GST, Plate Glass Insurance & Public Liability Insurance. Term: 5 Year Lease. Floor Area; 119 sqm. Commencing: 1 May 2017. Rent Review: Fixed annual 5% increase. 25 & 27 Darlot St: Currently Vacant. Expected rent: $20,000 plus GST per annum each. Call today to arrange an inspection.